Celebrity florist Saco Sarkissian has become one of Los Angeles’ most in demand floral designers and the LA native shows no signs of slowing down. 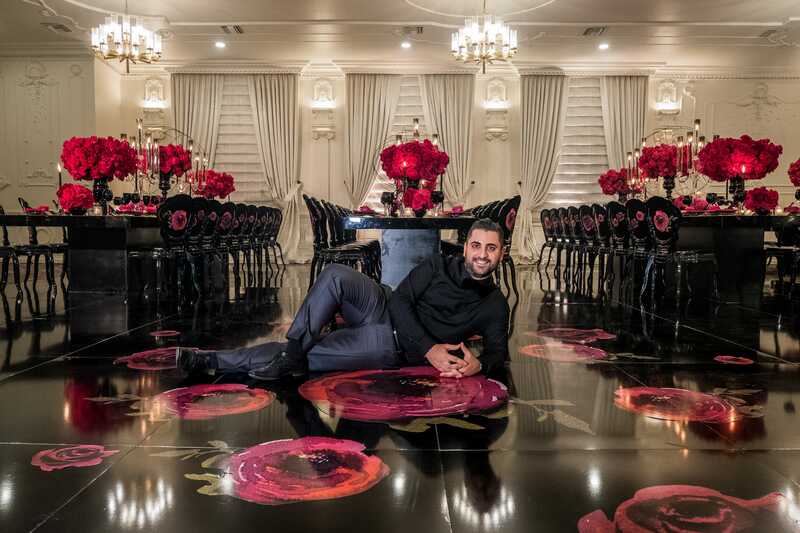 Sarkissian—the brains behind Petals LA—designs florals that ooze Hollywood glamour and lush luxury. And Hollywood’s A-listers have taken notice. Petals LA is the go-to floral designer of everyone from Khloe Kardashian to Rihanna. Saco doesn’t follow trends—he sets them. With over 100,000 followers on Instagram, Petals LA is on the fast track to going global. We caught up with Sarkissian to chat all things florals—and beyond. For the upcoming season, I'm seeing a lot of people wanting to have more fun with their florals. People aren't afraid of taking risks. Life has become so unpredictable, people are really going with what they love, and not what everyone else is necessarily doing. They don't call her the queen flower for nothing—peony is still the favorite. I have guys calling for their girlfriends, husbands calling for their mistresses, the lure of the peony is eternal. Flowers that were once considered too common are also making a comeback—babies breath, which were primarily a filler before, are now used in lush, over the top installations to create a dreamy, whimsical atmosphere. My forever favorite is Rihanna. Working with her on all her intimate events at home to designing her Diamond Ball every year in New York—I can't think of a more inspiring muse. I'm really enjoying the family of clients we've created at Petals LA. I see myself growing, evolving, and always pushing the boundary for sophisticated floral design. I have a couple projects I'm working on with some top names that I can't talk about yet—but the next three to five years should be really exciting.